Realized I need to start expanding my thrifting territory if I wanted to grow my Etsy business (which is the plan!) so the other day I visited some Goodwills further afield. (Funny, how they all smell the same.) As always there was the plethora of newer, generic stuff: the cheap faux leather purses, the made in China vases, racks of Forever 21 sweaters, and more Stephanie Meyers “Twilight” books than you can shake a stick at! But that is always the challenge…and I think the FUN challenge…trying to ferret out the cool, vintage items. And of course find them BEFORE the dozens of other pickers do! And there were a lot roaming around each store. One guy was dressed in a conductor’s uniform…I’m guessing on his way to work?! Others were walking around with phones in hand, scanning or goggling things. But, in the end, I did find a few things. 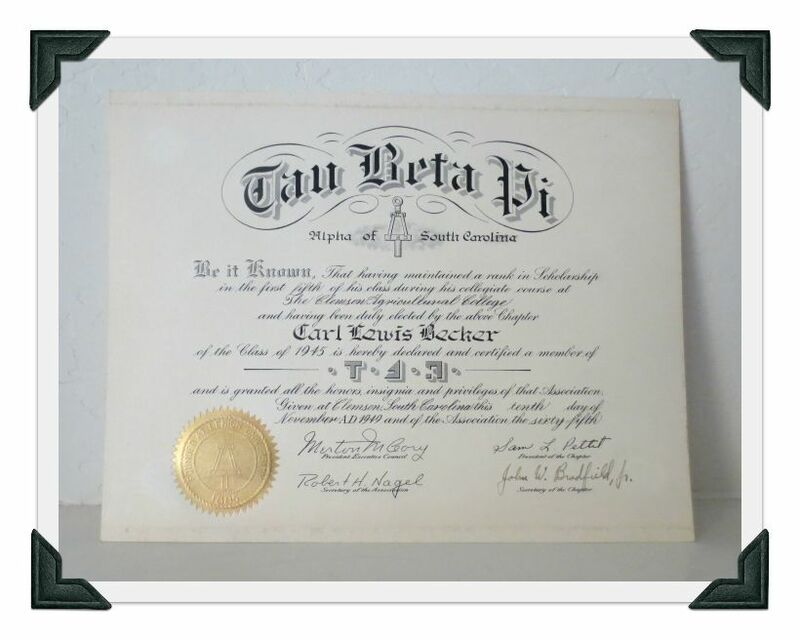 1940s fraternity certificates for Carl Lewis Becker. And you may be asking yourself, who’s Carl Lewis Becker? And I say, does it matter? (Actually he was a professor on the East Coast. And you’re right, it could matter if he was famous!!) Just love this kind of ephemera. 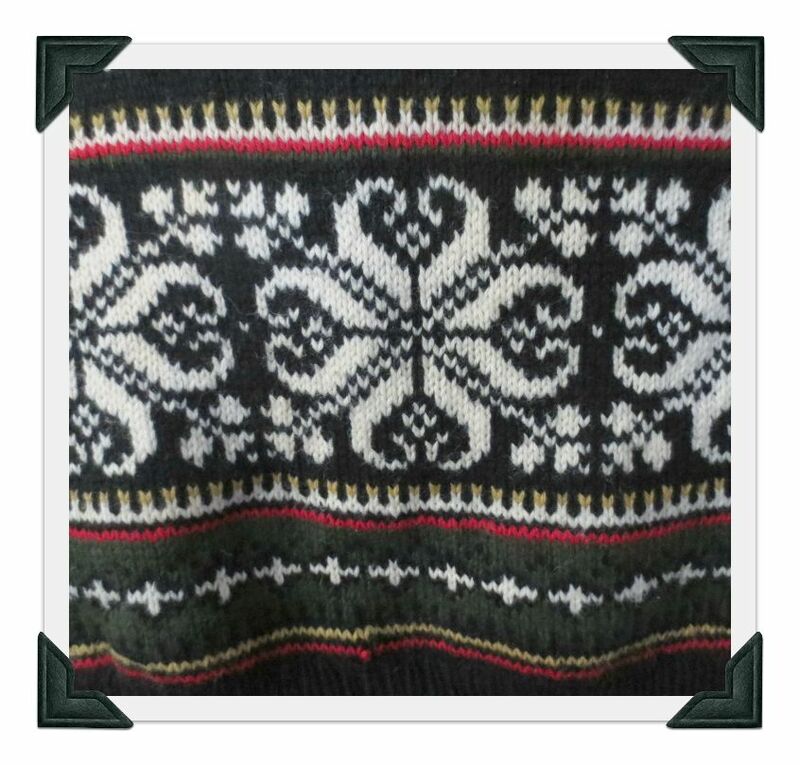 Snagged a man’s knit aprés-ski wool sweater. Don’t think it’s super old, but it is quite nice. Here’s a closeup of the main design. 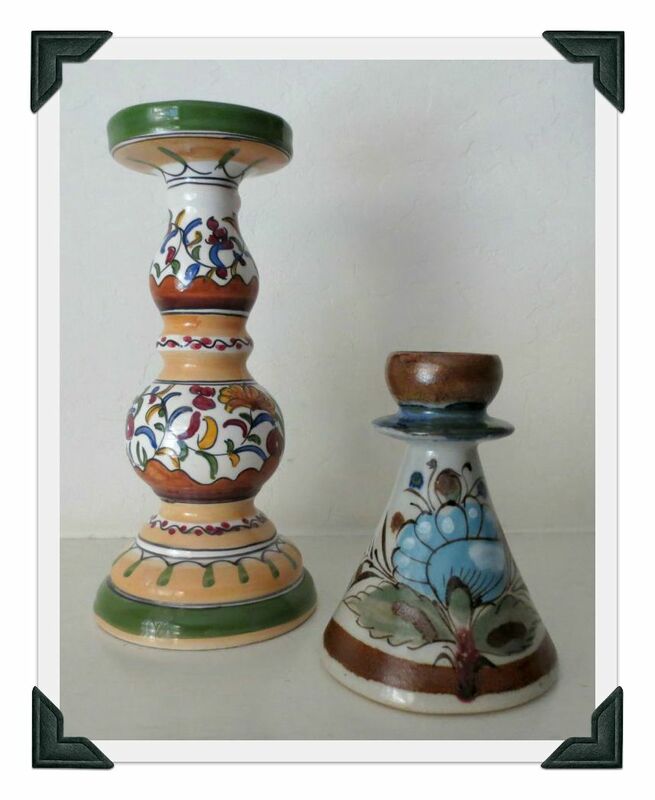 Found a ceramic candlestick from Portugal that I am going to sell with a Mexican one I bought recently. I think they’ll make a cute mismatched folk art pair. And who, I ask you, doesn’t need a 1928 book titled, “Project Lessons on Orchestration” by Arthur Heacox? 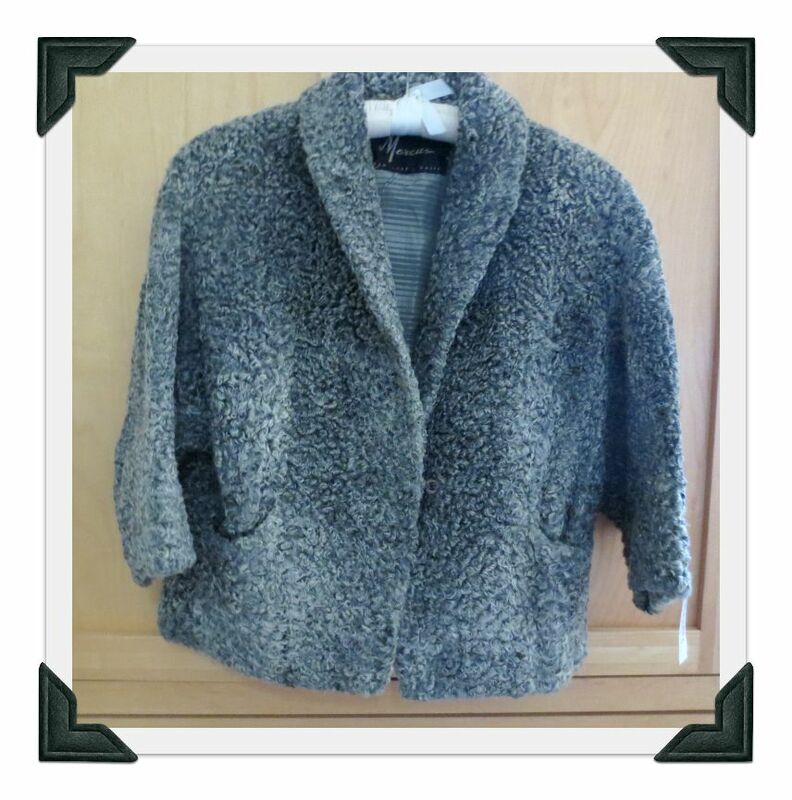 My best find, though, was a woman’s 1950s/60s Neiman Marcus cropped jacket with three-quarters raglan sleeves (faux curly lamb…at least I think it’s faux!) This is in great condition and so wearable today. And did I mention the quality? Top-notch. I nearly started hyperventilating when I found this jacket 🙂 Granted it doesn’t look like much in this photo!! 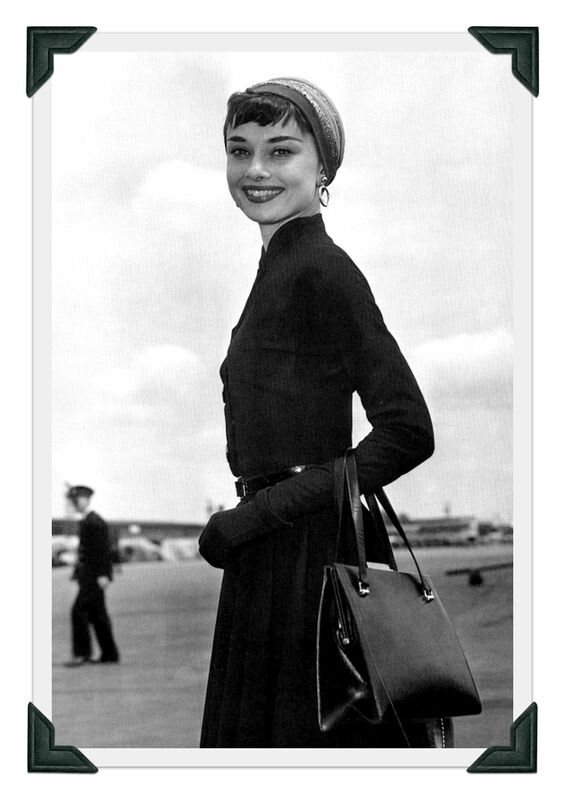 Now imagine it on someone like Audrey Hepburn. Too much of a stretch? Well, trust me it’s going to look great paired with skinny jeans and little boots. Well, my few hours of thrifting ended with a coffee date with a girlfriend, which was delightful. All in all, a fabulous morning. You have better Goodwill Stores than we do! Love seeing your finds! I laughed out loud at your “funny how they all smell the same!” Yes, they do, don’t they? I am in love with that old sweater. I just adore that era of clothing. 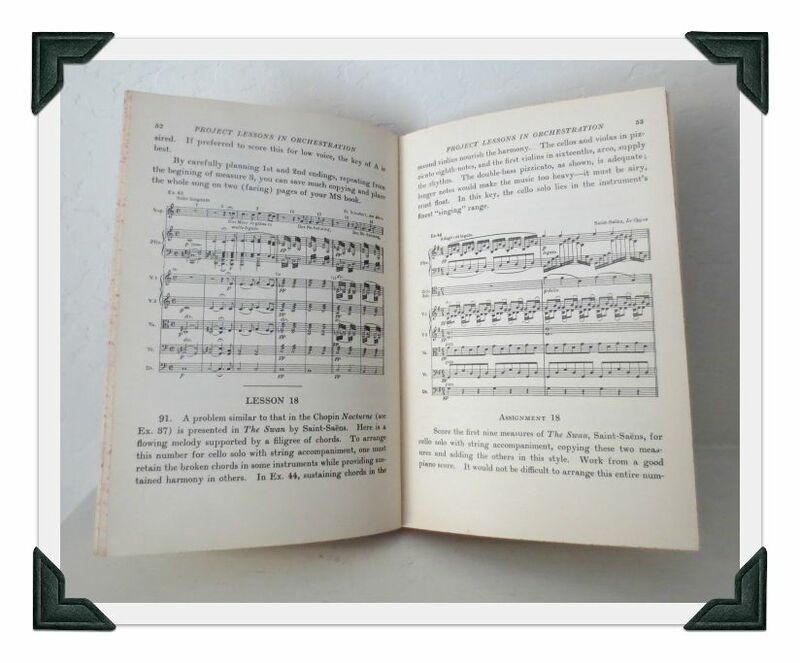 I love the music book too. That’s cool! Good for you for expanding your horizons!